LCD Display for up to the second status! 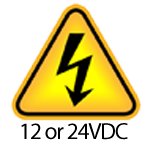 Including Current, Voltage, Output Status’s and more! Over 12 Months of testing and development to ensure the best and easiest mounting process to simplify the installation. Patented Marine Grade Anodized Aluminium mounting system. Simple to use and easy to clean high quality Lexan from label, provides IP65 rating. 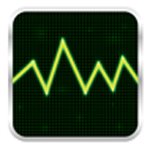 Advanced self monitoring program for ultimate protection with zero user configuration required. 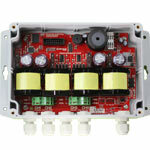 With multi channel output you can choose from 2 or 4 Transducer output models. Input/Output voltage monitoring for consistent controlled dynamic protection. 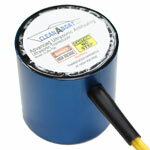 Advanced CleanAHull Ultrasonic !Blast! Function, provides enhanced protection. 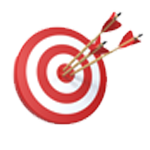 Meticulously developed algorithm to produce the perfect !Blast! output, all automated! Built-in smarts for reduced power consumption and low battery protection. Neat minimal design for simple installation in all Marine Vessels/Environments. With most situations requiring install in a tight location, under and engine or in a hard to reach location we have focused on ensuring our devices are as small as possible! Only the highest quality components are used in Globatech products. 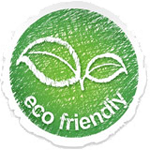 Australian Made QualityDesigned, Developed and Manufactured in Australia. Australian Ingenuity and Quality. 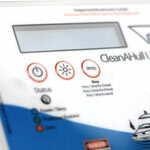 Economy and Fuel SavingsUp to 20% Fuel Savings by keeping your hull clean! When your hull is heavily fouled it takes a substantial effort to get it from point to point. 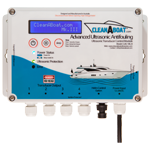 With our Ultrasonic Antifouling device fitted and a clean hull you will be able to maintain cruise easier and even get on a plane faster! This all equals savings at the pump. Huge Savings with our Ultrasonic Protection. 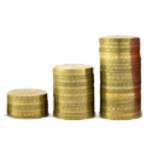 Saving on Haul outs, maintenance, ongoing running costs, and more. 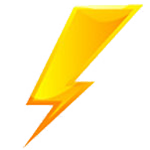 More Speed!Drasticaly Improved Performance! Clean Hull for Smooth Sailing. With the ability to keep the hull and running gear clean from sea growth we can provide more speed/power from your vessel. The reduced drag from reduced sea growth. 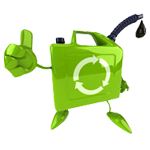 The Environment Comes First!100% Environmentaly Friendly System! Our system does not cause any environmental damage, nor does it harm fish, animals or humans. Ontop of this all ROHS parts are used in the manufacturing of our electronics. Multi Voltage InputAuto-Selecting 12VDC or 24VDC Input. Simply provide either voltage to the device and it will automaticaly adjust accordingly. It will even adjust it’s low battery protection mode! 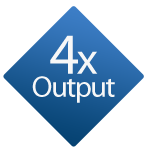 4 x The OutputOur System boasts twice the output of our competition! Not only do we operate up to 4 transducers from a single control module, but every output is centrally monitored! With individual isolation and current monitoring, our control module makes sure your Transducers are operating correctly at all times. 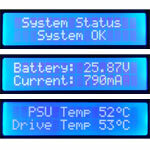 Active Self Monitoring.Active Current Output and Input, Temperature and more monitoring. With instant compensation and automatic variable output control, realtime information on built-in LCD Display. are just a few of the Safety Features built in! 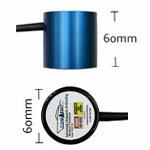 Revolutionary Targeted Protection System.Our Mini Transducer protection system is the ultimate in extended protection. 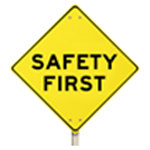 Providing added protection targeted to the places that may need it! Including; props, shafts, skegs, rudders, sea strainers, seawater pipes, submerged struts and more! We Built It, We Support It.We ARE the Manufacturer. We stand by our system. Unlike other Ultrasonic Antifouling systems being sold, our systems are design, built and tested in house. Ease of InstallationSimple easy installation. Plug it in and turn it on! Our system is the simplest system to install available! We have spent numerous hours working on our modular system that allows for easy installation. There are no holes required in the hull, the Ultrasonic Transducer is mounted via a provided special mounting ring that is simply bonded to the inside hull. 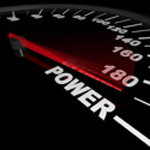 Low Power ConsumptionProtection without draining your power! Our Ultrasonic Protection device uses very little power to protect your hull from sea growth. 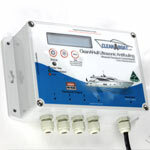 Active Realtime LCD DisplayThe First Ultrasonic Antifouling System in the World to provide an LCD for viewing realtime operational statistics and monitoring that status of your Ultrasonic Antifouling module! 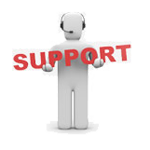 In case of an error our system will pinpoint the issue and outline to you on the LCD exactly the fault for easy troubleshooting and remedy.